The ASAF Youth Sailing Cup is a series of the best youth regattas in Asia. The series includes the top Asian youth sailors in Optimist, Laser 4.7, Laser Radial and RS:One, but each regattas may have additional classes. The title of ASAF Youth Champion is reserved for Asian Nationals, but the series is open to sailors of all countries. Although the title of ASAF youth champion is reserved for Asian Nationals only, all series regattas are open to eligible sailors of all countries. The regattas are the ideal time to measure your skills with best Asian youth sailors. 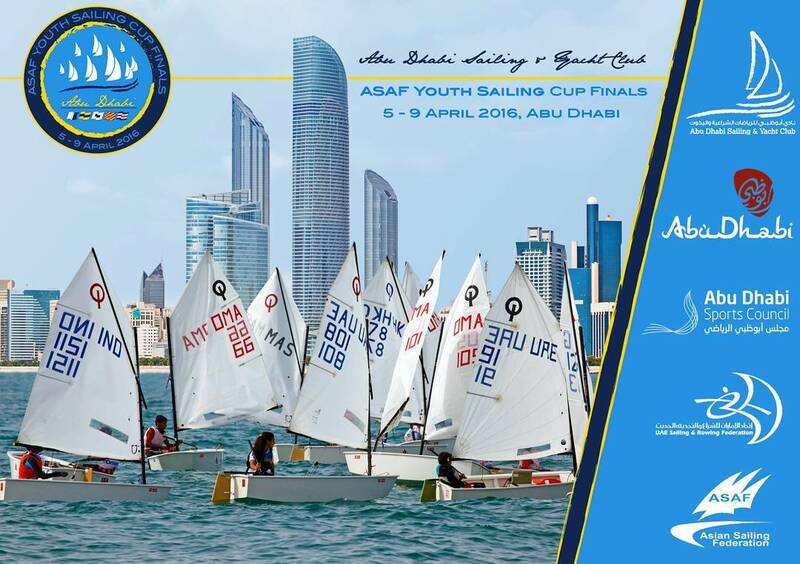 The ASAF Youth Sailing Cup Finals will be sailed on the beautiful waters of Abu Dhabi. The event will be hosted by Abu Dhabi Sailing & Yacht Club with the support of the Abu Dhabi Sports Council, the Asian Sailing Federation and the UAE Sailing & Rowing Federation. The Abu Dhabi Sailing & Yacht Club welcomes early arrivals; for enquiries please contact us. Charter boats will be available; rates and further information will be published on our website. Special rates for a variety of accommodation options are available with Rotana Hotels. For further details, please contact us.